Plumbing services in Egerton, are looking for a plumber? Give us call, We can help. Are you experiencing plumbing issues with your home boiler or plumbing? Look no further than Thermal Heating Services. All our plumbers are COGI registered and fully qualified to carry out any type of commercial or domestic plumbing issues. If you haven’t seen what you’re looking for don’t hesitate to contact us. Is your boiler tired, does it need repairs? Thermal heating services offer boiler repair services in Egerton. Our boiler repair technicians are expert’s, here is some of the most common issues, if yours isn’t listed we can look at that too. Radiators are not heating up to temperature? Does your boiler unexpectedly turn itself off? Pilot light keeps going out? Is your boiler or central heating become noisy? Boiler or radiators leaking fluid? 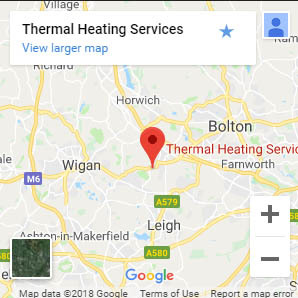 Thermal heating services are experts in the installation of new boilers and central heating systems in Egerton. Supply and fitting services are provided with our services. We can lay new radiator pipes throughout your home, in whichever room you require. Are you looking to install underfloor heating in Egerton, Thermal Heating services are available today to provide you with a quote for your underfloor heating system. They are considered to be more efficient than other systems as they heat at much lower temperatures but work much for efficiently. If you’d like to know about our services in Egerton please contact us today for more information. Drop us a line at anytime. Alternatively, feel free to call us!